Business: Intrepid Brewing, Derbyshire. Brewery. Inspired by the beautiful countryside of the Hope Valley in the Derbyshire Peak District where we are based, Intrepid Brewing Company makes fearlessly tasteful craft beer for you to enjoy. Established in 2014, the company has has built up a customer base that stretches from Darlington and York to the North, Lincoln in the East, Nottingham to the South and Macclesfield / Chester to the West. We have also, on occasion, been known to make an Intrepid journey to London! We make four core beers which are available to customers in both cask, Keykeg and 500ml bottles, along with a range of specials (known as Intrepid Journeys) where we brew the beers more commonly associated with other countries. Intrepid Journeys to date have taken us to Belgium with a delicious Saison and to the USA with an IPA which was so popular we made it a core beer! Rebecca McIntyre, co-founder and director. 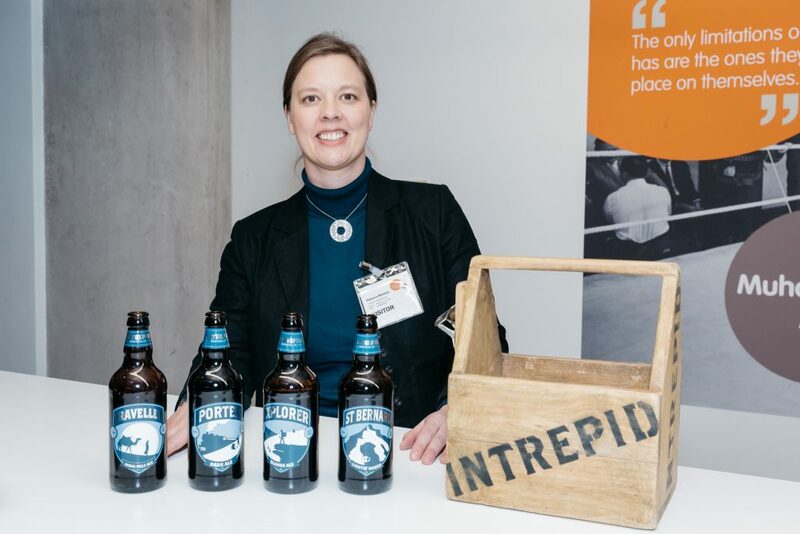 Rebecca McIntyre – co-founder of Intrepid Brewing. We are two years old and export was always part of the growth strategy. The UK craft beer market is very healthy and now we are launching internationally. Long-term, to be prominent in countries whose cultures chime with ours – such as Scandinavia, Canada and the US. At the Explore Export conference last year. OtE had a stand and we signed up after speaking to the very impressive team presenting there. It is very easy-to-use and, as the tool is a step-by-step process, can be completed in instalments to suit yourself, then readily applied to your own situation. You can also progress it at your own speed. The plan has given us clarity and focus, which is very important to us, as we are a small company with limited time and resources. We can refer back to the route map, which can be tweaked and develops with us.